What is one thing that can be very annoying about having so many Serbian Facebook friends? Having your inbox flooded with the same info and links on anything that is going on in Serbia. 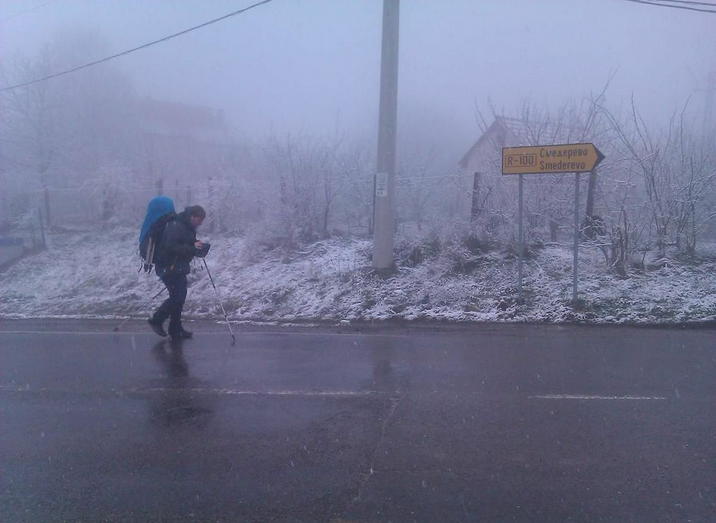 That is how I first heard of Kevin Shannon, the adventurer , who was planning to march all the way across Serbia. There were over 20-30 folks who were sending me something from the local newspapers and tv stations about him and his mission. We had connected over Facebook and he asked me to join in on part of journey. I wish I had taken the opportunity to do so not only for my health, but to experience a little bit of his adventure. We bumped into each other again the “Exit Festival Global Adventures” tourism conference. I was there to giving a presentation on my social network and blog while he was there to present “Walk Serbia”. I decided to quiz him with some more detailed questions about his time in Serbia. 2. How in the world did you get the idea to “walk across Serbia”? I originally visited Serbia the first time in the autumn of 2010 whilst on 10,000 km cycling expedition from the UK to the far end of Turkey and then back again. On that visit to Serbia I completely fell in love with the country and made some great friends. During the 3 to 4 months that I spent in Serbia I spend most my time in Belgrade, Novi Sad, Sabac and Nis. 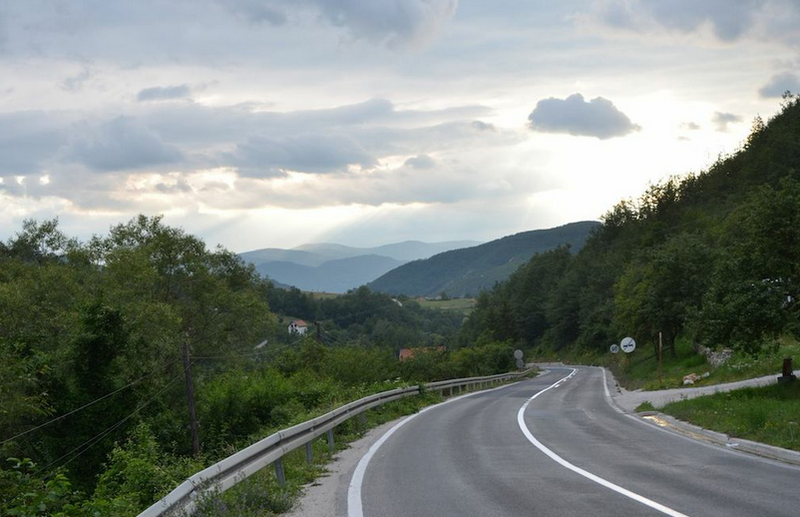 When I returned home I realised that I’d only seen a fraction of Serbia and although I had learnt about the country a little there was still Hell of a lot more to see. So I decided that one day I would return to Serbian and walk the length of the country. 3. What did you know about Serbia before you came here? Before I visited Serbia first time I didn’t really know that much about the country. I had simply drawn a line across Europe and Serbia happened to be on that path. I knew the region was obviously famous for conflicts and I had a they recollection of seeing the NATO bombings on television when I was younger, but that was really it. But as I was cycling through countries before I got to Serbia I was warned that Serbian people what do horrific things to me once I crossed the border. Of course I don’t believe this but when your cycling on your own across Europe these warnings do not fill you with confidence. 5. How long did your walk take? The walk is actually two walks. The first in February 2013 took me five weeks and during that time I walked from the border with Hungary down to the city of Nis. My second walk was in July 2013 and I walked from south west Serbia back to the north of the country, which also took five weeks. The biggest complication was issues from walking with such a heavy pack. My left knee became very sore during the first walk, and during the second walk I had horrific blisters on the sole of one of my feet. I was in a small village about 75 km north of Nis, feeling very tired and the little homesick and out of nowhere a group of young kids came up to me with pieces of paper and pencils. The oldest had a hand written note in English which said that they were big fans and have been following my journey in the newspapers. Because they knew my route, they knew I would be passing through the village and so had taken it in turns to keep a eye out for me, just so they could get an autograph – they had been waiting for 3 days. 8. Favorite part of your journey. The end? No, i’m just kidding. It’s actually very hard to pick a favourite part of the journey because so much happened but if I had to say one thing it was the generous hospitality everybody that i met on the road. 9. 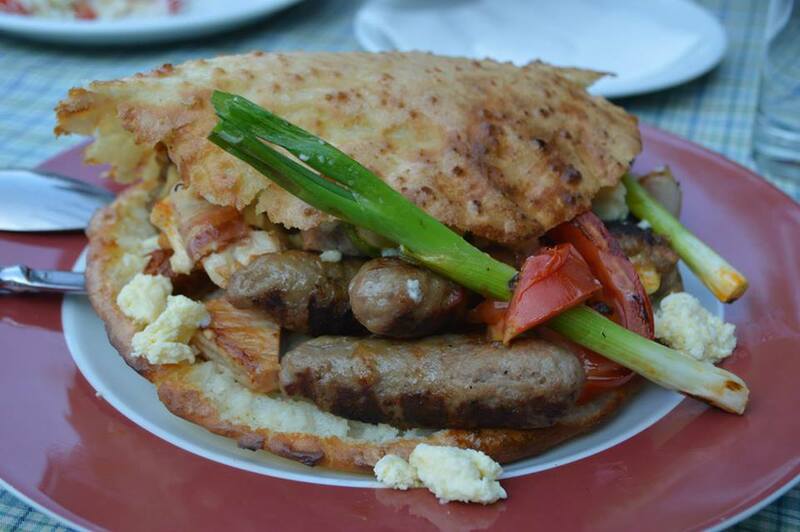 How would you compare Serbian food to your normal cuisine back in England? 10. Did you ever feel threatened or in danger? I never really felt threatened or in danger, even in small Kafanas in the middle of god knows where surrounded by big, burly Serbian guys. The biggest issue with regards to safety to me was the packs of wild dogs. They were always a concern when I was walking in the mountains or sleeping out at night. 11. What 4 words would you use to describe Serbia after walking from top to bottom and back? 12. 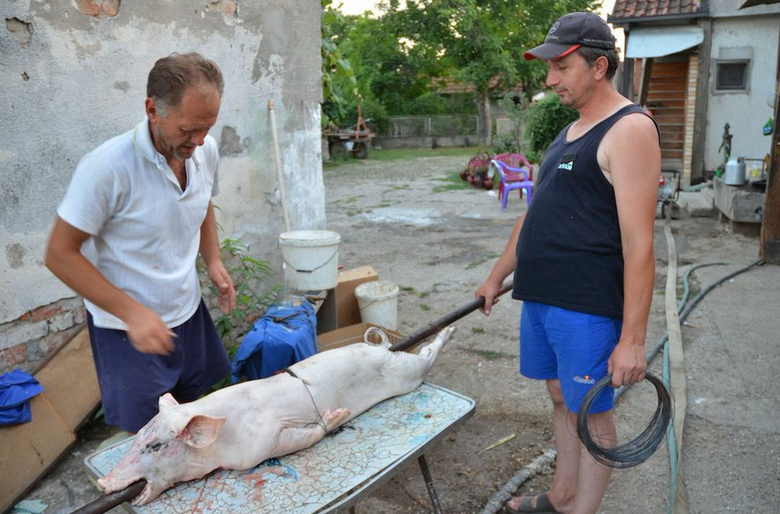 Will you return to Serbia? What would you say to someone that is considering a visit to this part of the world? 13. You have decided to publish a book about this exciting adventure, right? Tell me a little about the project. 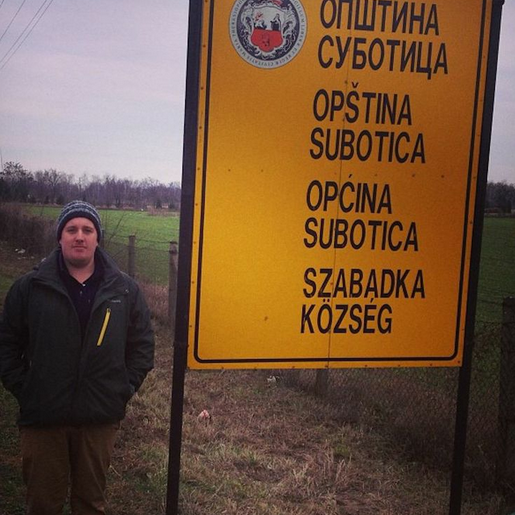 OK, So the project was quite simply to walk through Serbia to try and discover the real Serbia. In my original trip to the country i felt i’d only scratched the surface and was intrigued to see more of the country so i set up Walk Serbia. When you look around the internet looking for more info on Serbia you’re met with a lot negativity (except for a few sites included yours) and i decided that i wanted to create a document of my personal journey to not so much counteract the negativity but give a truthful view of a country. Now, don’t get me wrong, i expected it to be a positive trip due to prior experiences but i was open to negativity also – i essentially wanted to create a truthful account of spending 10 weeks tramping around the country. And this is, i hope, what i’ve done. I’m still in the process of writing the book – i’ve rewritten some chapters 4 times – but i decided that i would set a date (in my head) for it’s release. 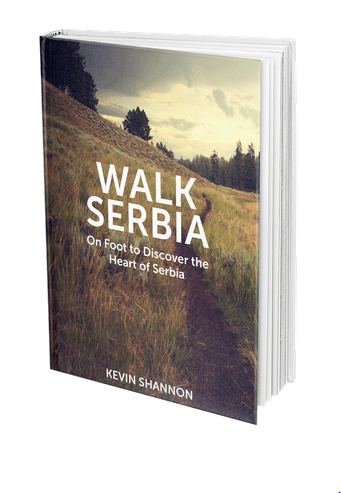 So now i’ve set up a website – walkserbia.com – which will be the hub for all things to do with the book including, the opportunity to buy the book, perhaps some videos from the road, exclusive photos and information on speaking engagements and a potential book tour. For the moment i’ve thrown up a very simple landing page which has a small blurb about the book and an area to signup to the newsletter which will give you exclusive updates, a free chapter here or there and an exclusive discount on the final book. I set up the newsletter for the reasons i just mentioned, but something amazing happened when i did – i realised just how much interest there was in reading the book; not just from Serbia but from all over the world. Serb’s from Australia, the USA and Canada and even South Africa have sent me messages to tell me they would like to buy copies for friends, families and co-workers which is exciting…and daunting. My plan for releasing the book was to self-publish and through friends in Serbia distribute the book there and of course here in the UK. But, with the response i’ve had so far i’m not looking at other options. I’m thinking about getting the book translated into Serbian, i’m going to start looking for distributors in the US and Australia AND if the list keeps growing i could have a great opportunity to promote the book to publishers around the world which will then (if i’ve done my job right) help to give the world a better understanding of Serbia. Just like the journeys themselves felt like a community – i had people tweeting, facebooking and emailing to help influence what i should visit and where during the walk – the book is starting to feel the same.